In restorative dentistry, crown and bridge refers to the restoration of natural teeth that have been damaged, decayed or lost. This is otherwise known as restorative dentistry. Dr. Kurtzman has performed a wide variety of restorative dental procedures and has built a practice on making patients comfortable before any dental procedure is started. Once we have examined your teeth and has evaluated your dental and medical history, we will be ready to provide a diagnosis and treatment options. Before Dr. Kurtzman ever performs any restorative dentistry work or any other dental procedure, he will clearly explain exactly what you should expect and he will be happy to answer all of the questions you have about your specific procedure. In instances where you need to have your tooth restored to its original size and shape, supply additional physical support for the treated tooth or get a complete "makeover" on the affected tooth, a crown would be your best option. 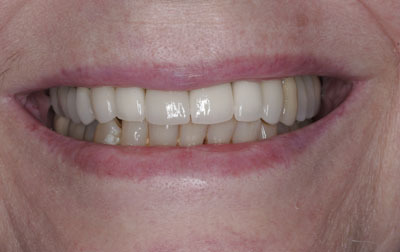 For more information on crowns, please see our dental crowns area. 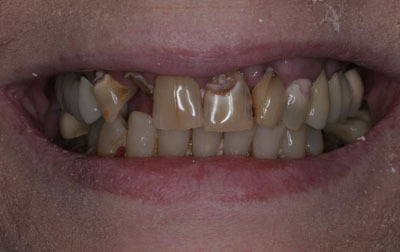 Dental bridges, on the other hand, are used to replace missing a missing tooth. For more information on bridges, please see our dental bridges area. Click here to see more before and after photos. 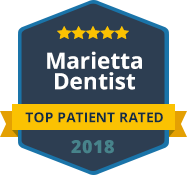 To find out more about restorative dentistry, or to schedule an appointment, please call or contact us at our Marietta Restorative Dentistry office today. We look forward to meeting you!